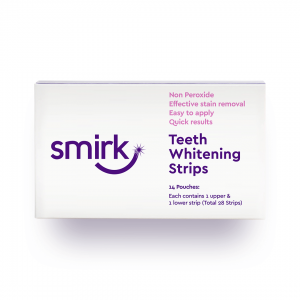 Whiten your teeth wisely at home with the power of Smirk’s dentist-approved Smirk Teeth Whitening Powder. 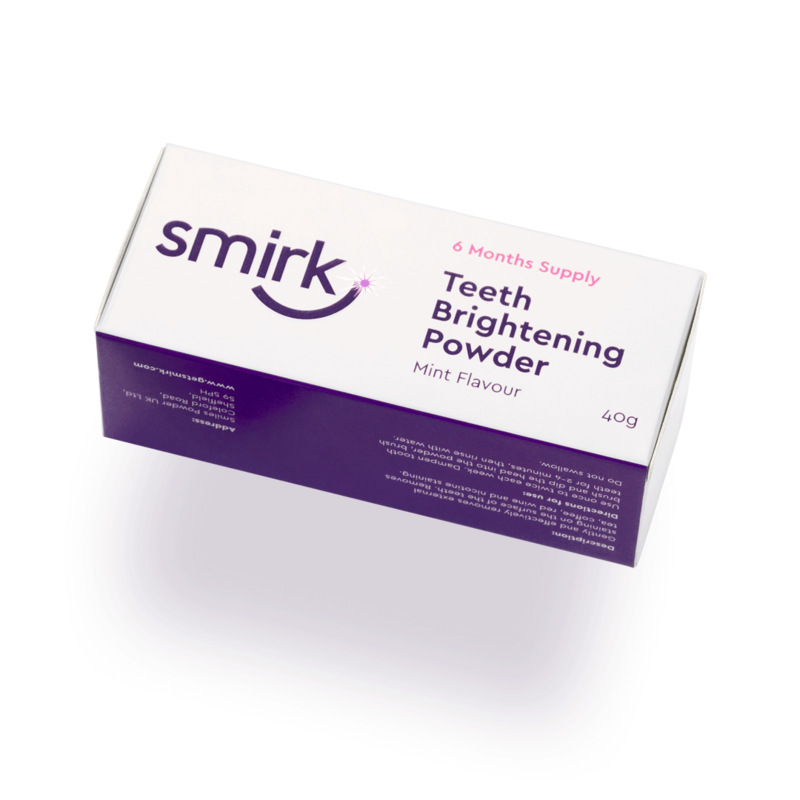 Safe on sensitive teeth, our signature combination of cleansing green tea and refreshing mint work synergistically with micro-fine powder technology to remove teeth staining from coffee, alcohol, food, smoking and other over indulgences. Calcium Carbonate, Sodium Dodecyl Sulfate, Strontium Chloride Hexahydrate, Camellia Sinensis Leaf Extract & Aqua & Glycerine (Green Tea), Mentha Piperita (Peppermint), Saccharin, Pentasodium, Triphosphate & Allantoin. I use this every single week without fail, sometimes I’m a bit naughty and use it 2 times a week! I love it!! Sceptical at first but really works… thanks!